You are here: Home › Autism. Is there an app for that? Autism. Is there an app for that? 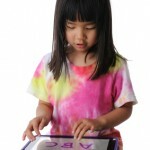 We are big fans of the iPad and the various special education apps available to children with special needs. We tweet about it regularly and have many posts on how the iPad can impact the lives of families of children with special needs. There are many websites out there with great stories about how the iPad has had an impact on children with autism. A Google search for “ipad autism” brings back over 1.2 million results. The same search on Youtube for “ipad autism” brings back over 200 videos with demonstrations and examples. There is just so much out there. How do we know what is most effective and appropriate for my child with autism? But is there really an app for autism? 1. What can this app actually do to assist my child with a specific area of difficulty? Why has the iPad been so successful for individuals with autism? Perhaps because of the interactivity, kinesthetic learning potential, ease of use, and the highly effective communication and educational apps available to target specific needs of individuals with autism. However, there is no app for autism. Rather, there are apps that can target specific areas of difficulty and deficit that are common in children diagnosed on the autism spectrum. An app that might be helpful to target communication skills in a child who is non-verbal would be applicable to children with communication disorders or delays that stem from many different diagnoses. It is important to understand the underlying difficulty that a child is experiencing in order to make the most of apps for your child with autism. 2. Is this app based on solid research-based evidence in the area of autism spectrum disorders? We recently tested an app that is designed to improve eye contact for children with autism. Eye contact is a social skill that is obviously of great importance. But what does the research say about teaching children with autism to make eye contact? There is evidence that teaching eye contact to children with autism may be problematic. Direct perception, or looking straight into another person’s eyes, is sometimes reported by individuals with autism to be painful. Research from University of Wisconsin-Madison in 2005 demonstrated that direct eye contact can be perceived as a stressful situation (even a threat). Even if we do teach this skill, it is important to use effective teaching strategies. Can these strategies be replicated in an app? Ultimately, and most importantly, will teaching eye contact with the use of an app generalize to other situations in which the individual needs to make eye contact in the context of a real situation, with real people? There are tons of great apps out there. Hopefully, your child is experiencing success with the many apps designed for individuals with special needs. It is important to keep in mind that there is no “app for autism.” However, there are apps that can successfully target the areas of expressive language skills, decoding, writing, organizational skills, computation skills and many others. Here are a few guidelines to help you select apps for your child with special needs. 1. Understand the specific area of challenge that your child is experiencing. Is your child struggling with expressive language? Understanding appropriate behavior in social settings? Spatial skills? It is important to look at a child’s underlying areas of difficulty as well as strengths in order to properly determine if an app can help. 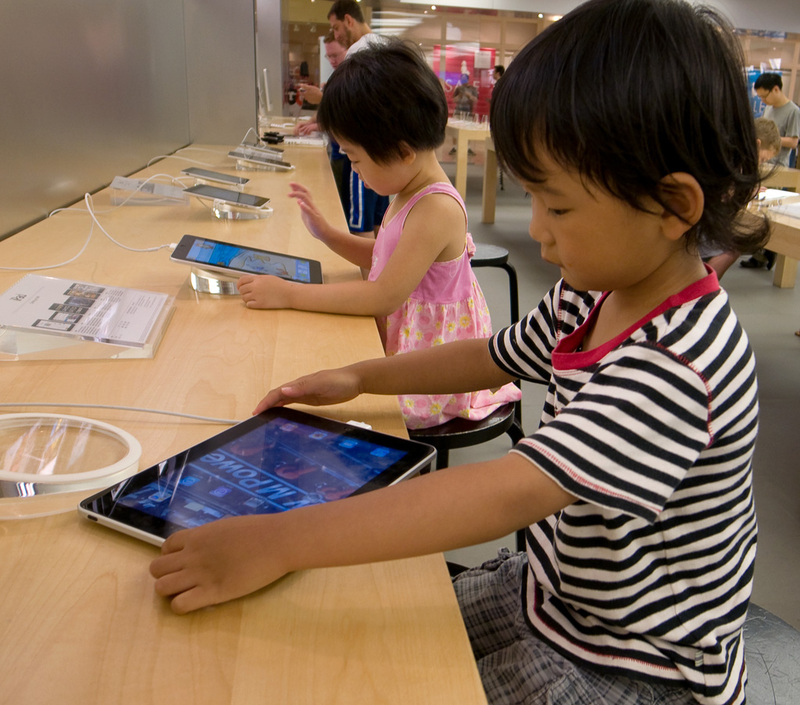 Balancing areas of difficulty with interests and strengths can help ensure that using a new tool like the iPad isn’t frustrating for your child but also serves an educational purpose. Your child’s teacher can help with this as well. 2. Look for app reviews that discuss how the app can assist with remediation in that area from places you trust. There are well known sites like Common Sense Media and Children’s Technology Review and up and coming ones out there such as IEAR.org that reviews apps. Many have forums and communities that you can join. While the iTunes reviews can be interesting, there is often little justification for the star ratings of apps. Its important to look into whether those apps are based in sound practices in education, psychology, speech and language pathology, or a related discipline. You can always speak with the professionals in your child’s life. In addition, be wary about educational claims from the app developers only. We aren’t alone with this suggestion. Wired’s GeekDad column had an excellent post on the need for a children’s app rating system and has an excellent list of suggestions for children’s app developers. Some educators are starting to develop evaluation rubrics for apps, which may prove to be useful in helping evaluate the educational quality of apps. Common Sense Media has a great post, “What you App-solutely need to know about Apps.” As we mentioned in our previous post, “Looking forward to 2011 as mobile learning matures” we cited recommendations from the Joan Ganz Cooney Centre that consumer-protection policies should be put in place to ensure that apps don’t claim to be educationally effective unless they are — something we very much endorse. This is a significant gap in this rapidly emerging field, and one of the main recommendations that our report makes: App developers’ claims of educational impact are largely unsubstantiated and should be based on specific evidence. Parents need more information from consumer groups and educators on how mobile devices can and should be used as learning tools. We have our own set of recommendations as part of our “There’s a Special App For That” series in the areas of fine motor skills, organizational skills, social communication and organization that tries to address some of the issues we raise in this post. Overall, consult with experts in the field and gather as much information as you can so you can make the best decision for your child’s needs. If you have any suggestions, comments or thoughts on apps, please add them! One Response to Autism. Is there an app for that? (since this week: also available the iPad app version). I refer you for further information, visit the App Store.